Discounts and winnings from S.S.A.B. 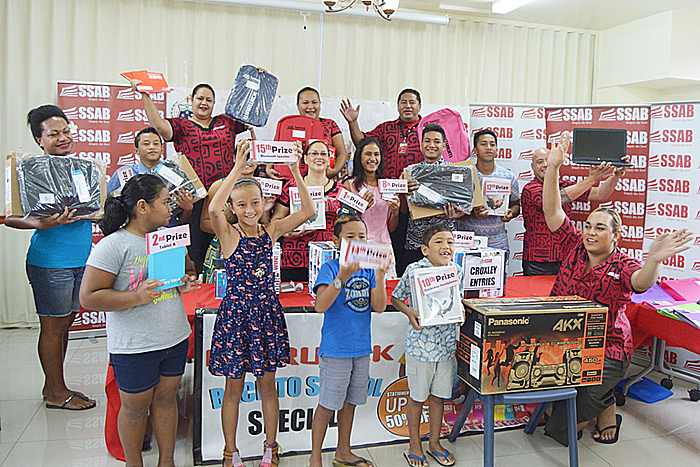 Eighteen customers who shopped at Samoa Stationery and Books (S.S.A.B) during their Back to School promotion have an extra reason to smile. 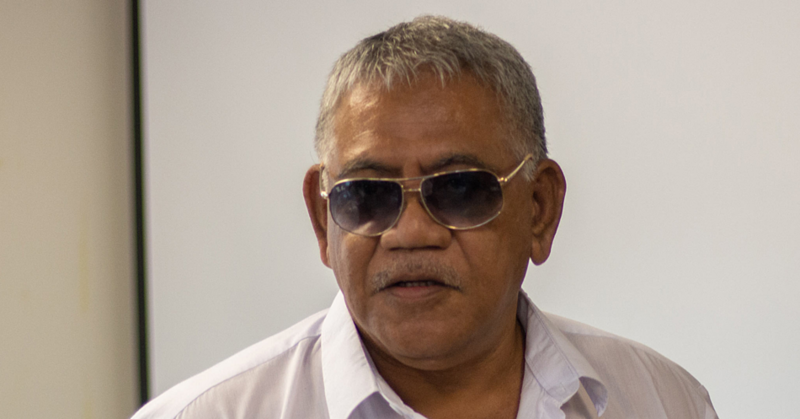 A laptop, Samsung phone and Bluetooth speakers were among a number of the prizes awarded for Samoa Stationery and Books ‘Back to School’ draw. All customers who spent $30 or more were entered in the draw. 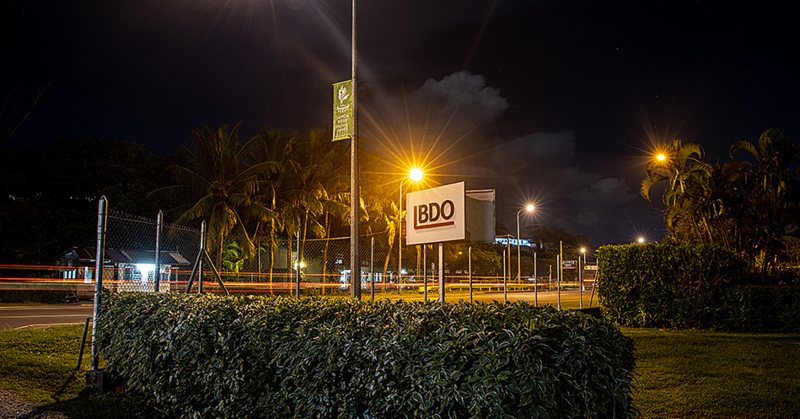 Marketing Manager Anastasia Alosio Stanley, said the promotion was the company’s way of rewarding loyalty and to acknowledge their support. “We had the draw yesterday where it was conducted by the management team of S.S.A.B, in the absence of our C.E.O. and president Fiti Leung Wai as well as our Deputy C.E.O. Gaseimaninoa Manila Pelenato who are in New Zealand. “We want our customers to feel that they are being looked after and taken care of ,” said Anastasia. “We have done this by slashing the prices with up to 50 percent off some of the selected Croxley Products and some of the other products had 20 percent discounted. “So not only we are giving the customers specials in terms of the prices but we actually offered them the draws as a way to wrap up the promotion and thank our customers. “On behalf of our CEO and President of SSAB Fiti Leung Wai we would like to thank everyone. “The Back to School promotion this year has been hectic fun and it’s been great. “We’ve seen a lot of parents racing through the doors of S.S.A.B. buying all that their children need for school and paying less than they expected. She also acknowledged the support from their overseas partners. 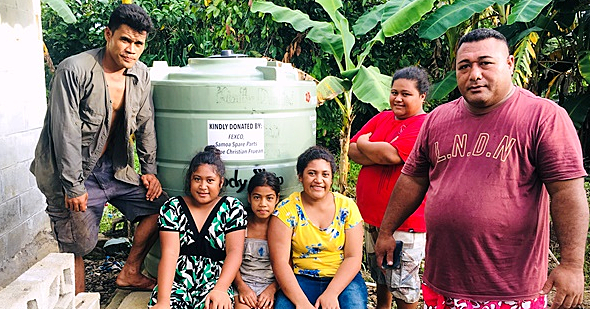 “I want to thank not only the Samoan customers, the parents and the children but also the overseas companies that have partnered up with S.S.A.B to make these promotions successful,” she said. They included Croxley, Staedtler, Pelikan Art line and Acco.